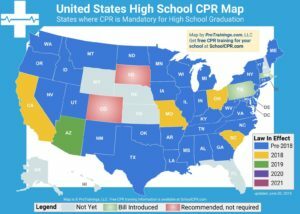 Teachers in New York are required to know CPR and AED. State Education Law Section 917 requires public school administrators to ensure the presence of at least one operable Automated External Defibrillator (AED) at each school, as well as staff volunteers in each school building/annex, etc who are appropriately trained and certified in Cardio-Pulmonary Resuscitation/Automated External Defibrillator (CPR/AED). and can respond to medical emergencies. The law also requires the presence of trained responders and AEDs at all school-sponsored activities (curricular or extracurricular events and activities) on site as well as off site. Emergency Skills Inc. (ESI) is the current AED vendor under contract to the New York City Department of Education (DOE) to provide program management, training, drills/unit inspections and maintenance. 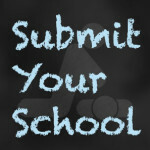 Each school administrator or designee is encouraged to access his or her school’s online AED information. On the Web site, administrators can view their school site response plans, request training, register staff online for training or print a copy of the training request form. This Web site will be updated periodically to offer new CPR/AED training options. Contact ESI at (212) 564-6833 for help regarding access to the Web site and class confirmation.